Rajkumari Amrit Kaur became the First President of AIIMS at the age of 67, a position she held from 1957 till her demise in 1964. Her contribution to the governance and institution building at AIIMS are legendary. The Princess of Kapurthala had her early education at Oxford University. She was awarded the Doctor of Laws by Princeton University in 1956. She joined the Mahatma’s Ashram in 1934 and served as his Secretary for 16 years. She spent three years in prison for participating in the Quit India movement. She became the first woman to hold a Cabinet rank in Nehru’s Cabinet and the President of the World Health Assembly in 1950. It can be said that without her visionary leadership, AIIMS would not have reached the heights of excellence that it has scaled over the past 6 decades to emerge as the premier Medical Sciences University of India. Rajkumari Amrit Kaur chaired the first meeting of the Governing Body in 1957. In her eight-year tenure, she chaired 25 Governing Body Meetings. Dr Jivraj Mehta the Director General Health Services and Dr. B.B.Dixit Director AIIMS served with her for the entire period. She got an IAS officer as Deputy Director for running the administration for a 12-year tenure to ensure stability in the process of Institution Building. The first Governing Body meeting underscored the massive governance challenge before the AIIMS administration of establishing the Institute as an apex medical sciences University with tight budgets, lack of adequate personnel, absence of infrastructure and dependency on foreign funding. It set the foundations for a governance structure where high level policy support and interventions for the Institute’s growth were available as the President AIIMS took upon herself the responsibility of coordination with the Health Ministers of State Governments, coordination with Union of India for additional budgetary allocations and for delegation of adequate administrative and financial powers to Director AIIMS. The first Governing Body meeting of AIIMS was convened on 27th May 1957. The Governing Body members who attended the meeting included Rajkumari Amrit Kaur in the chair, Dr. A.L.Mudaliar, Dr. Jivraj Mehta, Lt. Col Jaswant Singh Director General Health Services, Lt Col Amir Chand, Dr. R.M.Kasliwal and Dr B.B.Dixit Director AIIMS. The Union Health Secretary was not a member of the Governing Body although the Joint Secretary Ministry of Finance was a member of the Governing Body. The Budget for the year 1957-58 was Rs. 40 lacs and the entire 2nd Five Year Plan allocation for AIIMS was Rs. 11.11 crores. As the budget was not adequate for the construction of the hospital building upto the end of the 3rdFive Year Plan period, the Governing Body decided to approach the Government of India to transfer the Safdarjang hospital to the Institute. The Institute also accepted donations from the Rockefeller Foundation for a grant of USD 200,000 for purchase of books and publications and scientific equipment. Amongst the important decisions of the Governing Body was to consider and adopt the Regulations of AIIMS. The Governing Body considered the half-yearly progress report of AIIMS and rated the performance of the Institute “Very Good”, despite the insufficient staff. The Director was mandated to identify suitable candidates for the posts of Professor of General Surgery, Head of Department of Medicine, Head of Department of Preventive & Social Medicine and Professor of Anesthesiology. The services of Prof H.M.Smetana were made available by the Delhi University for the post of Professor of Preventive and Social Medicine, which was sponsored by the Rockefeller Foundation. However obtaining services of Dr. P.N. Wahi for the post of Head of Department of Pathology from the Government of Uttar Pradesh and the services of Dr Srivastava and Dr Balakrishnan for the posts of Professors of Medicine from the Government of Bombay was not possible. The State Governments of Uttar Pradesh and Bombay insisted on their prior resignation and Institute could not protect their past services. So tight was the budgetary allocation that the Institute accepted the sponsorship of the Rockefeller Foundation for air conditioning of the Institute building as it was felt that constructing the building without air conditioning was impossible. The decision not to construct a Hospital for AIIMS was taken in view of the lack of finances and increased cost on their buildings and equipment and was deferred till the 3rd Five Year Plan. Dr Jivraj Mehta as Director General Health Services offered 60 beds in Safdarjang Hospital for teaching purposes for the Departments of Medicine and Surgery as Professors had been appointed in these Departments. That said, the Institute accepted the Pounds 1 million grant from New Zealand for construction of the Hospital at the Institute and construction was taken up in the 2ndPlan Period. Rajkumari Amrit Kaur protected the autonomous nature of the Institute. She maintained that the Institute became autonomous from 15th November 1956 and all posts with a minimum pay of Rs. 600/- per month or more would be created with the approval of the Government, while no prior approval was necessary for posts carrying a minimum pay of less than Rs. 600/- per month. It was based on this decision that the Governing Body decided to fill 35 posts of Assistant Professors without prior approval of Government. The Governing Body ensured that the autonomous nature of the Institute was preserved. Rajkumari Amrit Kaur had created an international face for the Institute by collaborations with Rockefeller Foundation and the Government of New Zealand and encouraged further collaboration with the University of Pittsburgh. The AIIMS insignia was approved by the Governing Body in 1958 and slogan“shariramadhyam khalu dharma sadhanam” was decided in consultation with Vice President Dr. S. Radhakrishnan. Rajkumari Amrit Kaur permitted Governing Body meetings to be chaired by Dr. Jivraj Mehta in her absence. Dr Jivraj Mehta led Governing Body decided to relax conditions of admission to candidates of Nepal under the technical cooperation scheme of the Colombo Plan as also students from Burma. The Institute permitted exchange of post graduate students by sending AIIMS senior students abroad and getting some students from abroad. The Nursing College at Delhi was shifted to the Institute and amalgamated with it in 1958. The discussions in the Governing Body indicate the passion with which Rajkumari Amrit Kaur pursued institution building. By 1959, the Institute had 350 beds at the Institute and 84 teaching beds for medical and surgical cases at the Safdarjang Hospital in addition to the Nursing College. The Institute continued to make out a case for the transfer of the Safdarjang Hospital to the Institute in addition to the 650 beds that were planned for the Institute. Rajkumari Amrit Kaur maintained that the AIIMS be mandated with the responsibility of developing teaching patterns in Under Graduate and Post Graduate Medical Education to all medical colleges and allied institutions of the country. It was for this reason that she said she chaired the Governing Body of the Institute and would run it as an autonomous institute through the Standing Committees namely Finance Committee and Selection Committee both chaired by Dr. Jivraj Mehta the Director General Health Services, the Academic Committee and the Building Committee. The Membership of the Institute Body was pan-India representative, with medical faculties from Indian Universities, Members of Parliament, Distinguished Medical Educationists, members of the Indian Science Congress and representatives of Ministries of Education and Finance. The close collaboration of AIIMS with the Indian Medical Council, the Indian Council of Medical Research were developed in pursuance of the objective of developing the apex Medical Sciences University of India. Rajkumari Amrit Kaur’s vision envisaged selection of students for admission to the under-graduate MBBS course in AIIMS is made after an open advertisement, on the results of an open competitive test, strictly on merit with equal opportunities to students from any part of the country. It was with this backdrop, the AIIMS entrance examination was conducted in 5 cities in 1956, 1957 and 1958 namely Bombay, Calcutta, Madras, Nagpur and Delhi with 400 candidates appearing for 50 MBBS seats. 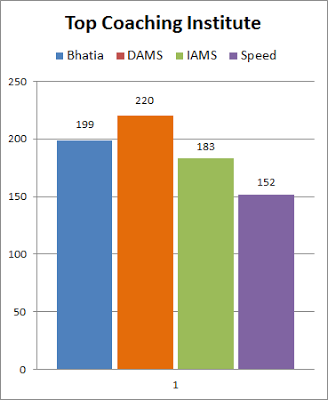 The performance of AIIMS by 1961 was noticed in international fora. The Massachusetts General Hospital on the occasion of its 150th celebrations, placed AIIMS in the list of most distinguished hospitals of America, Canada and Europe and presented Rajkumari Amrit Kaur with a medallion and a ‘Book of Citation’. Dr. B.B.Dixit in his letter to the Chairman, Board of Trustees Massachusetts General Hospital mentions how greatly AIIMS would cherish the citation – “This undertaking unites education and research in a courageous manner to meet the health needs of 400 million people” and AIIMs shall try its best to live up to these expectations. Rajkumari Amrit Kaur chaired her last Governing Body meeting of AIIMS on 14th August 1963. The Governing Body accepted her gift of “Manorville”, her residential building at summer hill Shimla to the Institute for rest and relaxation of doctors and nurses of AIIMS. A truly unparalleled gesture in the history of the Institute. *The author is a senior civil servant, an IAS officer of 1989 batch, presently serving as Deputy Director Administration, AIIMS New Delhi. The views expressed in the article are personal.